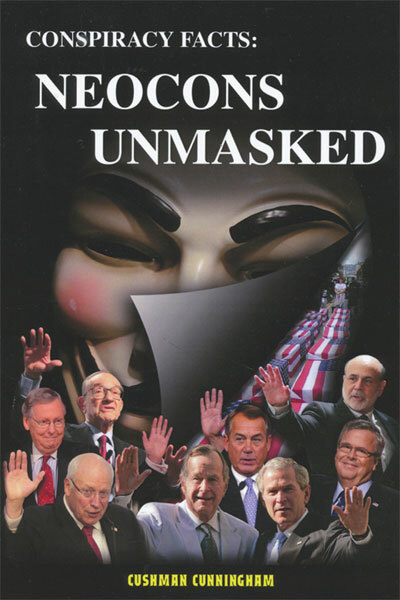 Conspiracy Facts: Neocons Unmasked is an expose of a thousand years of true history never revealed by the controlled major media. There are over 45 riveting stories by Patriotic authors and independent blogs never before available in book form. It features Cushman Cunningham, author, World War II pathfinder and Harvard graduate. This one of a kind volume of true history is augmented by the many visuals such as: maps, graphs, photos, captions and charts which will hopefully further educate the readers.